Prepare to add a $117 million electrical transmission project headed for a rubber-stamping by Scott Walker's Public [Sic] Service Commission approval and billing to a utility's customers across a four-state territory to already-pledged billions in Wisconsin and local taxpayer payments that will boost Taiwan-based Foxconn's bottom line. Downtown Milwaukee Ald. Bob Bauman is also pursuing a resolution from the Common Council that would direct the city attorney to intervene in the case. The measure passed the Bauman-chaired public works committee this week. Here is a map of, and further information about the transmission utility which will dun all its customers to serve Foxconn. 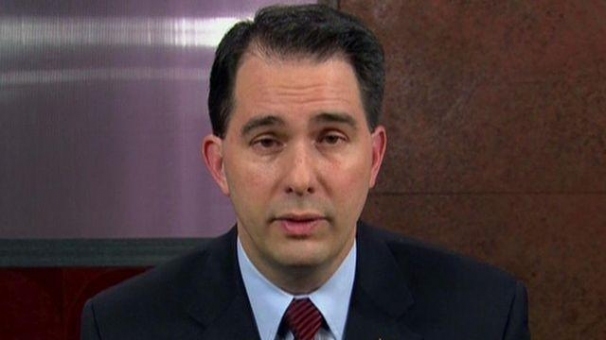 Walker's bet about avoiding any backlash from this latest Foxconn favoritism? That he can distract enough voters with gimmicks like a $100-per-child bribe state tax credit, anesthetize their awareness of his politics of indifference and to the torrent of public dollars headed Foxconn's way and not theirs - - and win a third term. He's also assuming that news of a $117 million favor to Foxconn gets lost in all the numbers and the complexities, buried by the rush of news 24/7, and diverted from voters' attention by the demands of everyday lives unrelated to politics. Here is a frequently-updated archive on Foxconn issues to help keep folks informed.